With over 2 billion users, Facebook is a cornerstone of communication. However, many mom and pop shops, especially in rural communities, refuse to embrace this new style of communicating. While leveraging this form of advertising can be a bit daunting, taking the time to learn (or spending the money to hire someone to learn), can give you a return on your investment. In the next few weeks, we will walk you through the Facebook ads process, but today, we’ll take a few minutes to discuss why it’s worth your time and money. Before we begin, let’s chat about who uses FB and who doesn’t. The world of social media advertising can be a bit daunting, but that doesn’t mean that we shouldn’t do it. Every business, big or small, has to have some form of advertising. While there are several social media platforms, we recommend picking one to get started. Run an ad, test the results, adjust and do it again. Facebook is a great place for a rural small town business to start for several reasons. Facebook is most likely where your consumers are. According to Pew research, almost 2/3 of America adults are on Facebook. 29% use Facebook every day at work (much to their bosses chagrin). If you are looking to target the average American adult, FB is a great place to start. They are inexpensive. We recently ran a Facebook ad for a client who leads fitness classes. Since we are just starting out in the FB adversing world, we followed the experts advice and kept our budget small. For $20, we were able to target women ages 24-65 in a typical midwestern small town. As a result, we received 81 link clicks (that means 81 people wanted to learn more), and almost 3,000 people had the ad appear on their screen. While our conversion rate isn’t what we’d like it to be (yep, still learning), we can’t think of any other advertising way in which a simple $20 bill result in 81 people taking a closer look at a product. Plus, our client gained some new page likes. Even at it’s worst, for small towns businesses, FB ads still pay. It’s relatively easy to target who you want to target. Facebook ads allow you to target your ad to people based on geography, age, gender, interests and more. Will Facebook ads solve all of your marketing problems? Of course not. However, as social media use continues to rise, business owners need to embrace the trend to not only thrive, but to stay afloat. 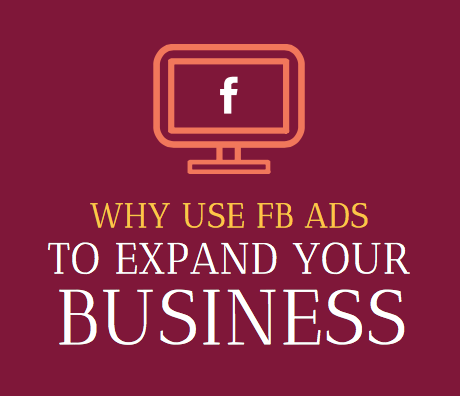 Not sure where to get started with FB ads, but not sure where to start? We’re here to help! Contact us to learn about how you can grow your business through ads.